Hey guys! 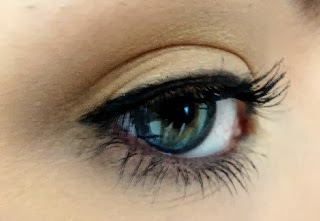 So because there are only a few days left in my international giveaway of a Real Techniques Starter Set and Rimmel eye shadow quad in smokey brun, I decided to show you an eye makeup look that you could create with them using ones I own myself. 2. Take the champagne colour on the left and put it all over the lid with the base shadow brush. 4. Then take the dark brown colour at the top on the same brush again and put it in the outer corner and move it towards the crease. Then bring in under the eye on the same brush or the brow brush. 6. 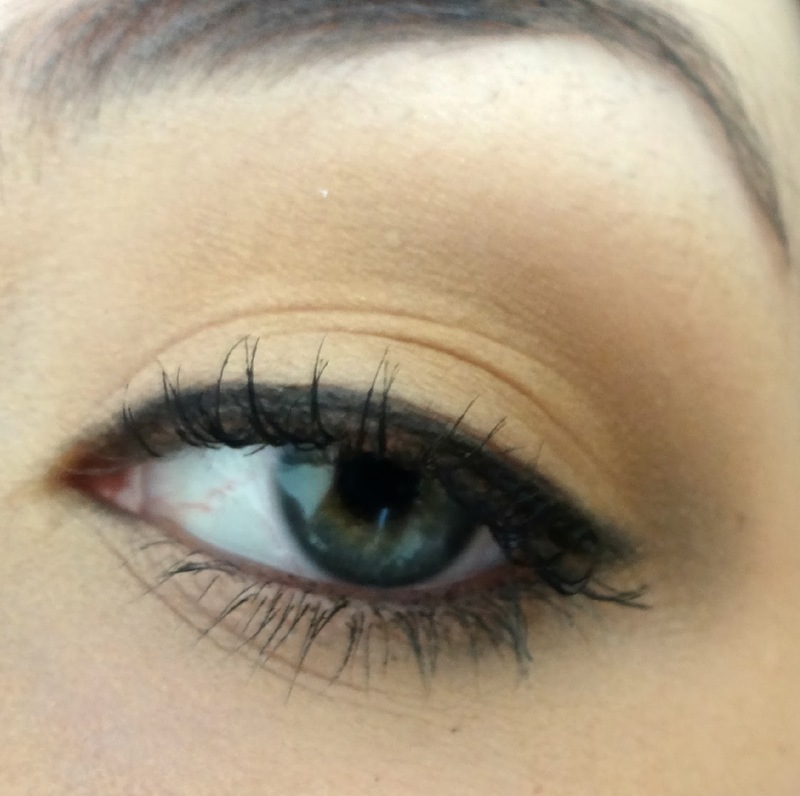 Also put the lightest colour in the inner corner using whatever brush you used in the last step. 7. Use any black pencil eyeliner to line your water line and tight line. 8. Use the pixel-point eyeliner brush to line the top lash line. I used an essence gel eyeliner to do this. 9. Curl your lashes and use whatever mascara you like. I hope you liked this post. 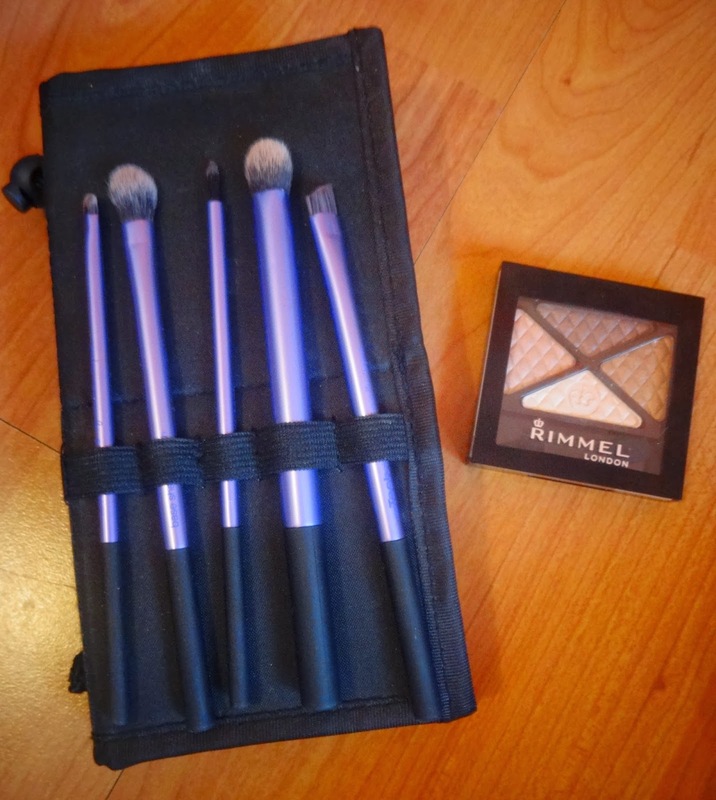 If you want to enter the giveaway to win a brand new Real Techniques Starter Set and Rimmel eye shadow quad click here. Good luck to everyone!